Already feeling the pinch of Christmas – and it’s not even December yet? If you’re wondering how you’re going to get through 5 weeks (yep, it’s that soon, people) of present buying, catch up drinks, Secret Santas and cab fares home from Christmas parties, a few cheap eats might help. It may be called 2Forks, but both of those forks will be feeding one mouth – all for under $15. 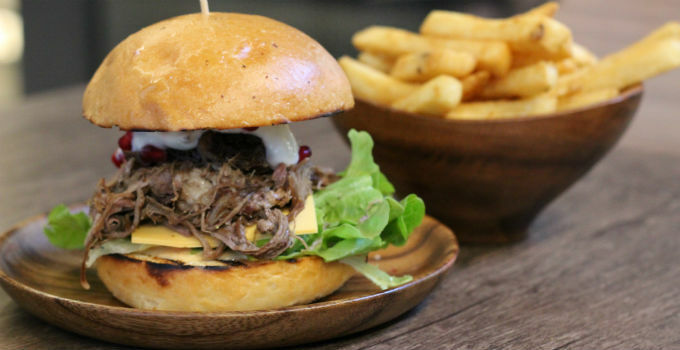 Succulent, juicy, fall off the bone pork, beef or lamb is loaded onto your choice of meal at this pulled meat bar. For $12.50, bite into a massive burger packed with so much meat, you’ll probably need to take an intermission half way through to recover. For $12, wrap your mouth around a spicy burrito loaded with avocado salsa, lime rice, refried beans and cheese. We can barely wrap our heads around that deal. For those forgoing the carbs for the night, there’s something for you too. For $7.95, chose between three salads with a side of that meat – we may need three forks for this one!